The world’s most powerful wind turbine was just installed off the coast of Scotland. Developer Vattenfall announced this week it completed the installation of 11 turbines in Aberdeen Bay – two of which were upgraded with a record-setting capacity of 8.8 MW. In total, the installation generates 93.2 MW of energy – enough to power 70-percent of Aberdeen’s domestic needs. 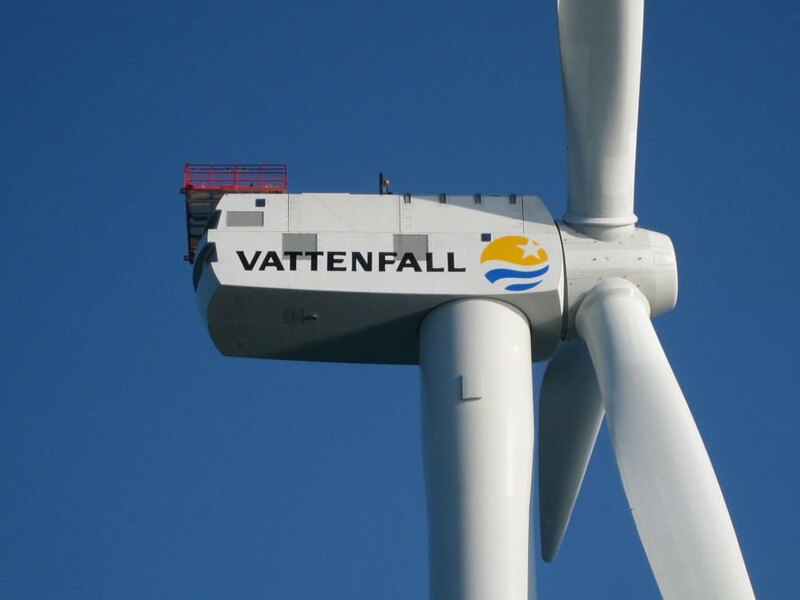 Vattenfall said that nine 8.4 MW turbines were installed off the coast, and two other turbines with an enhanced capacity of 8.8 MW were also put in place. These turbines are the most powerful in the world – and a major milestone for the European Offshore Wind Deployment Centre (EOWDC). The company also announced that a few weeks ago it installed the industry’s first suction bucket jacket foundations, which will help make off-shore wind power installations more affordable. All told, 134,128 tons of coal will be displaced by the installation. “The turbines for the EOWDC, Scotland’s largest offshore wind test and demonstration facility, help secure Vattenfall’s vision to be fossil fuel free within one generation,” said Gunnar Groebler, Vattenfall’s Head of Business Area Wind.